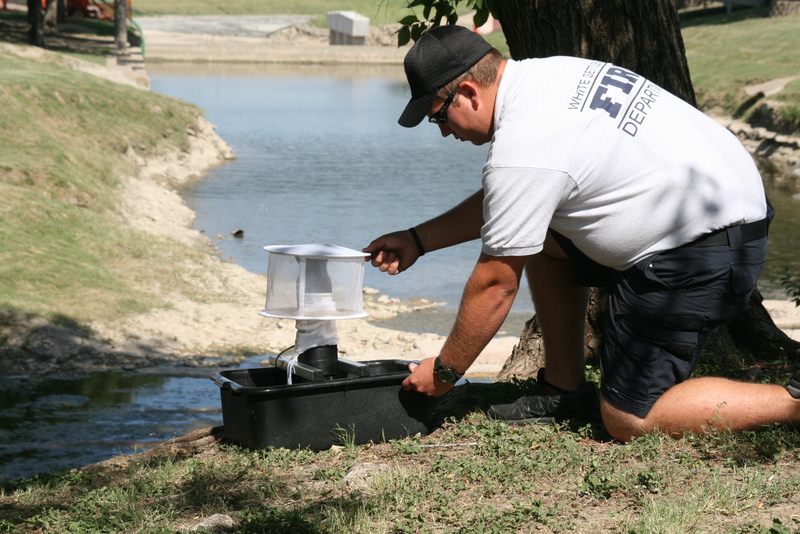 WS Firefighter Brady Graham sets up a mosquito trap near a creek to collect mosquitoes to be tested. The Tarrant County Public Health department notified the City of White Settlement this past week that a mosquito sample tested positive for West Nile Virus from a trap on the north side of town. 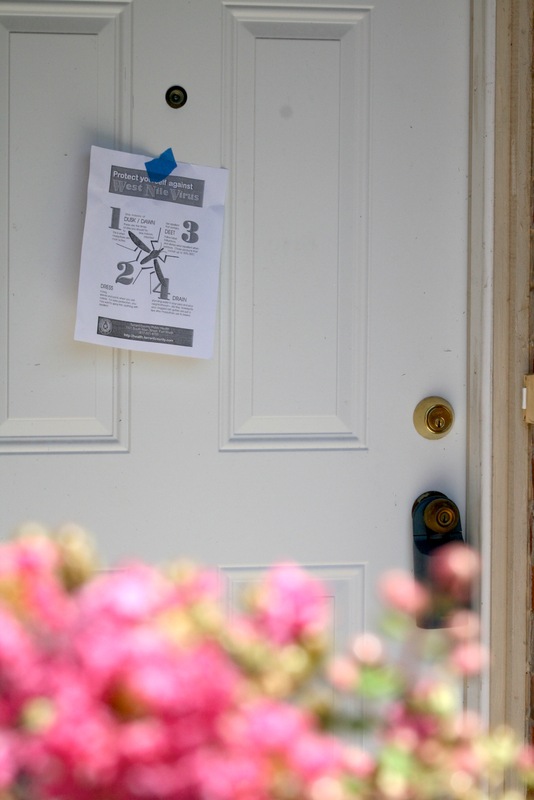 City workers and fire department volunteers went door to door just along the streets of McCully, Renfro and Ronald, just north of Silver Creek Rd., placing flyers on doors of residences. 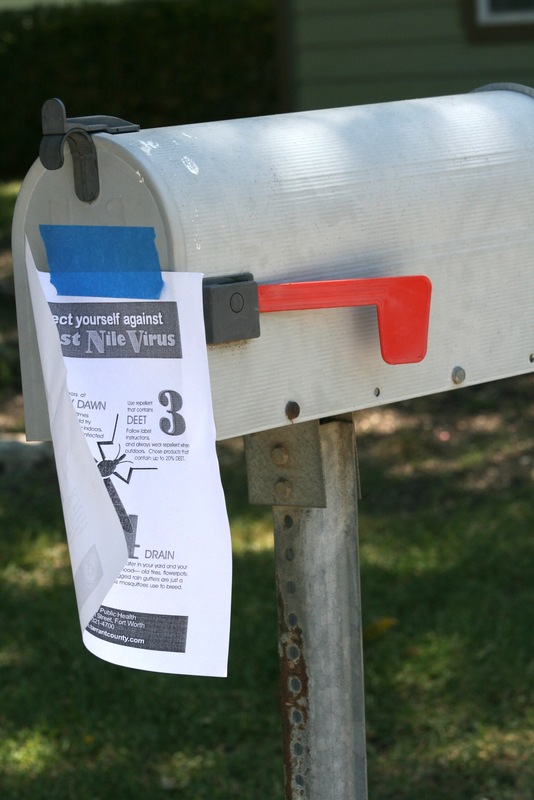 The flyers provided information on how residents could protect themselves against West Nile Virus. Flyers were placed on the doors in the affected area of town. 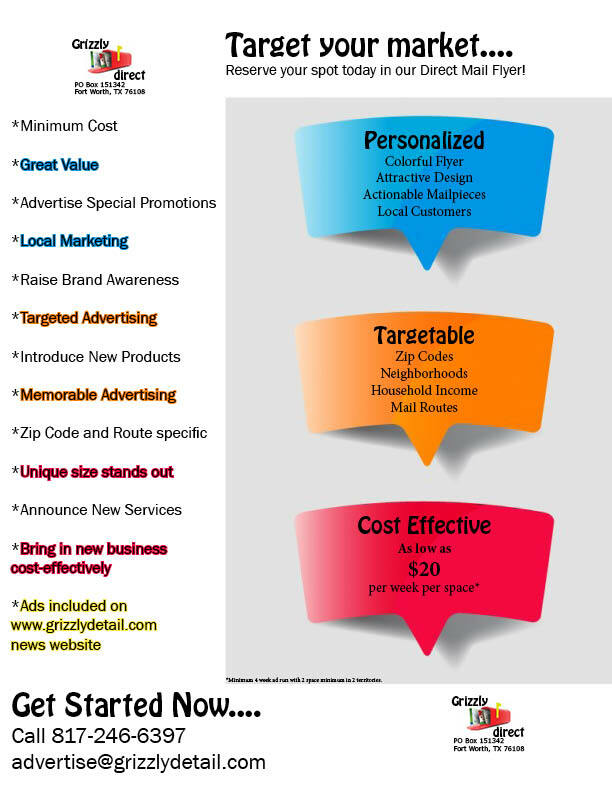 Flyers were placed on mailboxes in the affected area of town. 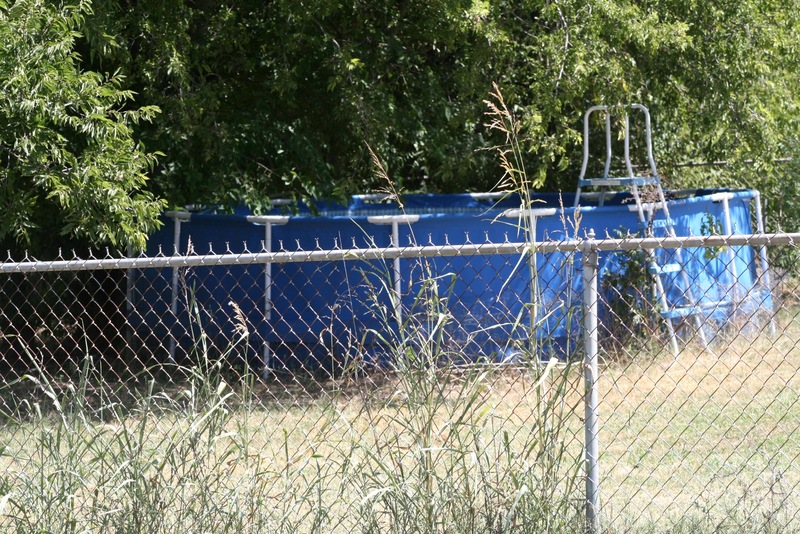 In a press release to the media, the City of White Settlement Code Enforcement Department will be in that specific area checking to ensure swimming pools have no stagnant dirty water. Also, in any areas with standing ground water, city workers will be putting out “dunks” to kill any mosquito larva. “We are also working with the Tarrant County Public Health department to set up for ground level spraying in the area where the positive test was confirmed,” Thompson said. The city will place “dunks” in stagnant water areas around town. In the meantime, citizens are being asked to follow the 4 D’s of West Nile Virus prevention to help protect themselves. They are to stay indoors at Dusk and Dawn. Dress with long sleeves and long pants when outdoors. Use repellent that contains DEET and Drain any standing water in their yards. As more information becomes available on the health department’s plans for ground spraying, The Grizzly will keep you informed at http://www.grizzlydetail.com or like us on facebook.com/thegrizzlydetail.